A day on and the Broncos continue to make moves for the coming year. 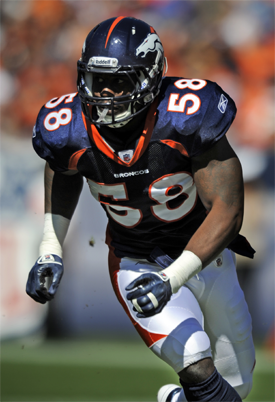 The Broncos added another key component to the team today. The Broncos agreed to terms with cornerback Tracy Porter on Thursday. Porter (5-foot-11, 186 pounds) is a fifth-year player who spent his first four seasons with New Orleans and saw time in 43 games (39 starts), totaling 227 tackles (178 solo), seven interceptions (95 yds. ), 37 passes defensed, four forced fumbles and two fumble recoveries. In six postseason starts, he has recorded 34 tackles (28 solo), two interceptions (100 yds. ), three passes defensed and one forced fumble. Included in his career totals are two interceptions returned for touchdowns, including a 74-yard score in the fourth quarter of Super Bowl XLIV to help clinch the Saints' first World Championship. Selected by New Orleans in the second round (40th overall) of the 2008 NFL Draft from Indiana University, he earned multiple Big Ten Conference honors while starting 43 games and recording 212 tackles (175 solo), 16 interceptions (413 yds. ), two forced fumbles and four fumble recoveries for the Hoosiers. Porter, who attended Port Allen (La.) High School, was born on Aug. 11, 1986. This means that Andre' Goodman is probably out gone. The Broncos were looking for an upgrade at right cornerback. Porter, 25, is considered a decent No. 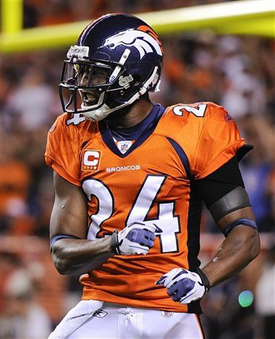 2 cornerback and should be a good complement to Champ Bailey. It likely means the Broncos will not continue to pursue Pittsburgh cornerback William Gay who was also meant to visit. It was probably an either/or situation and Porter is considered the better player of the two. Even though Porter is signed for just one year and Bailey will turn 34 in June, the Broncos may draft a defensive tackle or a cornerback in the first round. A one year deal for Porter seems odd. There is some talk that his value had dropped because he may be involved in the bounty scandal and may be suspended for a few games this season. We will need to keep an eye on this story as it develops. The one year deal does allow Porter to prove himself this season and enter Free Agency again next year to maximize his value. It is a good deal from that perspective. The Tebow trade hit another snag today. A person with knowledge of the situation has told The Associated Press that quarterback Tim Tebow, acquired from the Denver Broncos on Wednesday, must sign a rewritten contract because of a technicality before he can officially join the New York Jets. That issue keeps Tebow on Denver's salary cap for 24 hours after he signs the new deal, according to the person who spoke on condition of anonymity Friday morning because the reason for the delay hadn't been announced by the Jets. ESPN first reported the contract issue. Tebow arrived at the team's facility in Florham Park, N.J., on Thursday, but the Jets won't officially introduce him until Monday because of the delay. 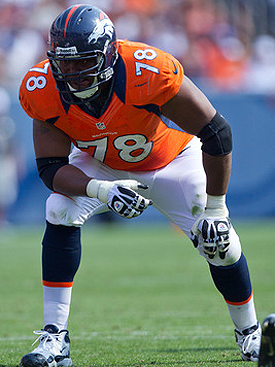 The Broncos have a number of free agents in town. Denver is visiting with Houston tight end Joel Dreessen. He is a Colorado native. 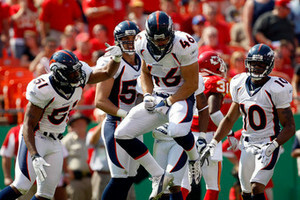 Denver is also talking to tight end Jacob Tamme, who played with Peyton Manning in Indianapolis. Both are solid options but Tamme has been the more productive player. We should be able to sign at least one of these guys. And my final news item today is we lost another favorite Bronco. The Patriots reached a two-year agreement today with the former Broncos jack-of-all-trades Spencer Larsen, a source confirmed. Larsen was the only serviceable fullback on the team and leaves a hole that will need to be filled. Larsen will be missed but he was never used enough for my liking here. Hopefully the Patriots can use him more and display the true talent that is Storming Mormon. Another day in the books and we are still visiting with free agents. More definitely to happen in coming days ~ Aussie. Are the memories, thanks Larsen. Looks like we signed TE Tamme and TE Dreessen. Two new broncos to add to the list. These two I would think replace Fells and Rosario. Both big upgrades. We missed out on Saturday but that is ok. I liked Trash Can better anyway. I don't think I'll ever get over us dealing Tebow out like this. Never giving him the opportunity to be mentored by Manning is just sickening. I don't get it and its gonna drive me nuts!!!!! God Bless you Tebow but I'm not saying goodbye. I just can't do it. Where did you hear that Digger might be leaving?? I read the thing about Digger on another blog. He like you is totally pissed off by this decision. But I don't think he is leaving, I believe he just needed a few days to cool off. I hope to see him about soon. He can explain it better than what I could. Elway HAD to trade Tebow after he signed Manning. I know we both would have liked to keep Tebow to be mentored by Manning but it was never going to happen. Elway knew that the media beat up and the Tebow fans would be all over Manning from day one. He didn't want to pressure Manning with that. And Tebow didn't want to be a back up, he wants to start somewhere. Elway thought he did the right thing for the Broncos now and the right thing for Tebow by trading him else where. (Side note Tebow will be starting for the Jets by at least week 8 I think). In the short term you can't deny this was the better move. But in the long term it is debatable. We will just have to wait and see what happens. Looks like we got another, Caleb hanie is coming to town. This is a guy I called for before we signed manning. So that is one up for me. But I don't like him as number 2 behind manning. He is a young talented player that is a project. He needs a lot of work. Actually, in retrospect, that was a dumb thing for me to say. It was an empty threat. 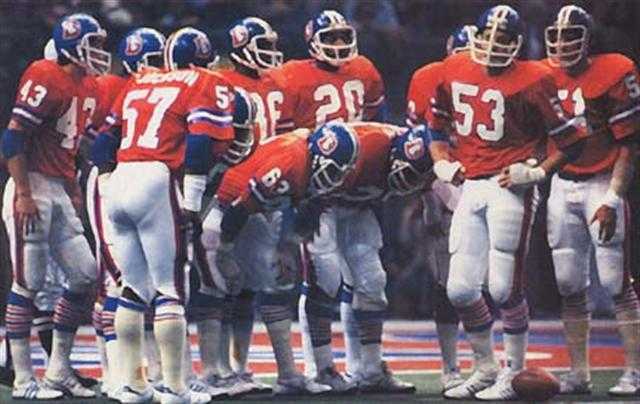 I could never ditch my Broncos, no matter how big of idiots are running the show. IMO they are taking advantage of Pat's dementia and trust in them to get a SB win for him. He is fading fast now. He looked disorientated at the press conference. Anyway BP is right. They could have kept him. Elway was sick of the circus. i knew he never cared for TT. It was obvious in facial expressions and other instances where you could see his disdain for Tebowmania. Some say it was Elway's ego that triggered his hate. Some say he knows so much about QBing that he could tell the future and saw that Tebow will never be a great QB. Some, like G, say he was doing it for Tim to go succeed somewhere else. I still say Elway, for some reason, I don't quite know why, was one of the Tebow haters. I have never seen or been part of anything like Tebowmania before. How polarizing can one guy can be? It was love him or hate him and yes I did end up loving him. I will never root against him. I am Pro-Tebow forever now without ever thinking that it would be possible for me to do that. I was the one chanting, "Say no to Tebow." before the 2010 draft. 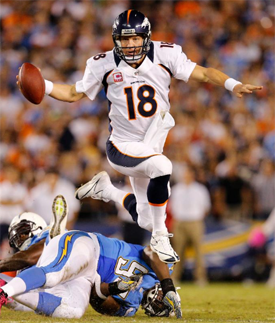 As of right now, I have to say that I would cheer for TT to beat the Broncos if they play and that is just craziness to me. I feel like a bad fan. I feel like I shouldn't even be allowed to blog about the Broncos. I'm struggling with lots of issues with MY team. Mostly I'm struggling with how one of my favorites of all time hired another favorite of all time and kicked out another favorite of all time. I'm torn. J-E-T-S! GBTT.